Figures wandered the courtyards in ghostly, billowing gowns—it was a journey among the walking dead. In almost every society, the mentally infirm are the most vulnerable and suffer the inevitable fate of invisibility. The Baghdad Mental Asylum could not escape the random violence of war as the U.S.-led invasion ravaged Iraq. As parts of the compound were bombarded by U.S. forces, both staff and patients fled in terror. Amidst the chaos, women were kidnapped by area locals, and sexually enslaved. 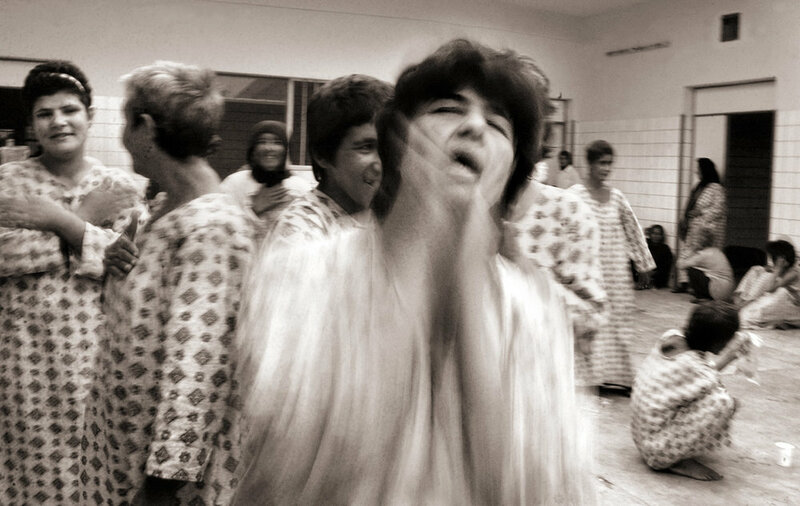 Weeks after President George W. Bush declared victory, traumatized female patients were being returned to the asylum with signs of life in their bellies. 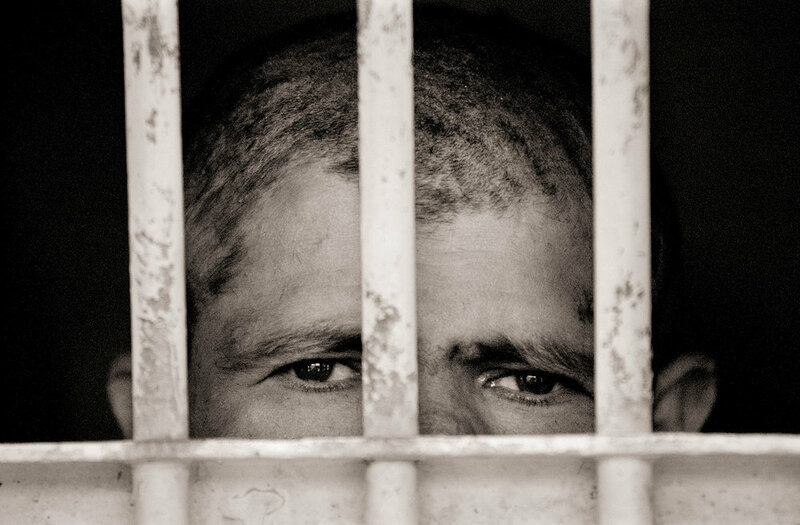 Male patients found their way back to the haven of the asylum. I had been covering the Iraq invasion with the U.S. Marines for weeks when I arrived at the Baghdad Mental Asylum in 2003. The stories at the asylum were hopeful and heartbreaking. For in the filth and the squalor of the patient’s lives, there was happiness. Tinged with violence. 1,200 patients. With their stained white dresses billowing in the wind and screams echoing into the night, women patients scattered to escape 300 marauders wielding pipes, knives and chains. In the ensuing chaos, 340 of nearly 500 women either escaped or were abducted from Al Rashad Mental Teaching Hospital, the city's only facility for chronic mental patients. As coalition troops rolled into Baghdad nearly three weeks ago, frenzied looters carried away every piece of Al Rashad's electrical equipment, including refrigerators, air conditioners, fans and stoves, as well as numerous beds and the only ambulance - $500,000 in damage in two hours. One nurse lay dead after trying to defend patients, and several staff members were injured. No one knows how many of the women were kidnapped, raped or mauled. "These thieves were so dangerous that I believed they would kill us all in a very inhuman way, " said Dr. Mohammad Usama, one of 16 staff doctors who finally felt secure enough after 10 days to go check on conditions at the hospital. "Truly, they were savages - the picture of the devil himself, " he said, recalling his terror the night of April 8. The looters were mostly young men from the hospital neighborhood, Dr. Usama said. They knew that the Red Cross had spent more than $5 million keeping the hospital afloat - and making it enticing for thieves. He said that unscrupulous informants gave false testimony to U.S. troops, claiming that Iraqi forces were inside the compound. Resultant bombing destroyed some of the hospital's perimeter walls. When U.S. soldiers arrived, they found a hospital with a roster of 1,200 mental patients and a skeleton staff, frightened. Al Rashad sits in the northern Baghdad community of Shamaeyia, where thieves admit they are thieves and casually tell passersby that they might shoot them on the spot. Need a hitman? Find him in Shamaeyia. Even Saddam Hussein had difficulties there: He is said to have pointed missiles at the area to keep order among the 2 million, mostly poverty-stricken residents. After the looting, Dr. Usama says he begged a lieutenant from the U.S. forces patrolling the vicinity to provide security for the mental hospital. couldn't stay, " he said. "I really thanked them." "In Iraq, we consider our women to be very beautiful and precious, therefore we do everything we can to protect them, " said resident psychiatrist Dr. Salah Sadoun. So Jabar Sharhan, a staff clerk, gathered the bewildered, remaining 135 women patients and took them to his house after the first night. The next day, a crowd numbering in the thousands swooped in, scrounging for anything missed the first night. Rooms in many parts of the hospital now stand empty, cleaned of every last stick of furniture. Shredded garments, granules from a spilled sack of tea and trampled dates are the only items left on the floor. One young woman named Aliaa who escaped from the hospital described going home with a young man who bathed her. Then he raped her repeatedly for two days and put her out on the street. A woman tried to help by taking Aliaa to her house, but the woman's father also raped Aliaa. An announcement to the surrounding community, encouraging people to return missing patients, was Aliaa's salvation: A neighbor divulged her whereabouts, and the hospital staff was finally able to rescue her. Dr. Sirwan Ali, a consulting psychiatrist at Al Rashad, says he is concerned that the incident will have long-term effects on the city, as at-large patients go for longer periods of time without medication, becoming increasingly unstable. Of 1,200 male and female patients, only 500 have been brought back or have returned willingly. Many patients roam Baghdad and are dangerous to society, said Dr. Ali. Baghdad is coming back to life, and electricity and water are slowly being restored. At Al Rashad, however, the staff continues to work in difficult conditions; a local mullah pitched in some money to pay them. The hospital, which was run by the government before the war, now has no source of funds. It awaits donations of potable water, food, medicine, clothing and construction materials. If they were permitted to dream, they'd probably throw in a humble prayer for an ambulance for good measure.